What exciting footnotes to a fine production. Re watched it just the other day. Thanks for your insights into this little jem of a film. Cataracts are getting worse, so hard to read these days… I will find the film and thanks for the tip! Thank you so much for this – remember it well! Slightly shocked how long ago, wish life came with a pause/rewind button! Actually, this is one of my favorite films. I have watched it many times, as there are indeed many “layers of the onion” awaiting to be found each time. I so enjoyed watching you doing the Quaker-American bit! It was and is still a lovely reminder of a way of life soon to be swept away. At the time, and still, I admire your range, playing so memorably the passionate and heroic Poldark,vs the repressed and deceived (or deceiving?) Dowell. Bravo! What a fascinating read! Thank you very much. I look forward to watching the film, I love period drama and especially with you in it! Wonder why they didn’t use a body double/stunt person for Mr. Brett for that scene? But good for you for standing up for safety. Thanks for this very lovely post. You have a terrifically engaging style, like we’re sharing a pint with you @ the local! A fascinating look-in on the production. Thank you so much. Thank you for this. I can’t remember that I’ve ever seen it on German TV. I only know the English original version. Sad story, great location, very good actors, stylish, elegant dressing. Robin, did you know that a team of the BBC was in Bad Nauheim in 2012. 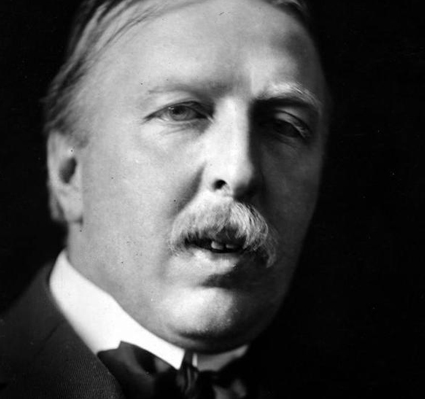 The reason for the visit was a story about Ford Madox Ford for the “Culture Show” and in this context they made interviews with German extras. All of them spoke very positively about the behaviour of the actors. “All were very friendly and not arrogant, we got autographs and we had some conversation but on the other side there were comments like “it was boring and needed too much time through repeats of scenes therefore they got a lot of respect for the work of an actor”. One of them was the owner of “Willy’s Pub” he still remembered the high consumption of whiskey by the film crew! Here’s a link to that article (sorry, only in German) but I hope you have a possibility for translating perhaps with a little help from Google? 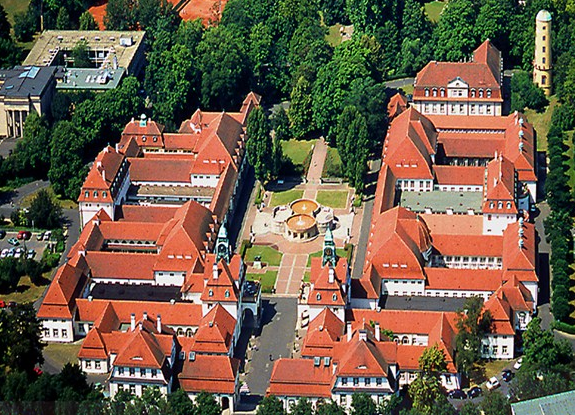 Today Bad Nauheim status as a “health city” based mainly on several large hospitals and specialist clinics. There is a long tradition in the Heart Research. One of my work colleagues comes from Marburg another film location. Thank you for this Martina–wonderful to read what the extras felt about it and that they learned an actor’s life can be tedious as well as fun!! I watched this recently on YouTube and found it a haunting and touching story. It was one of those films that ‘stayed with me’ for days, flitting in and out of my thoughts. A stunning film. Thank you so much for sharing your insights into the background and the filming. Your background stories of your film projects are highly interesting, educational and entertaining in themselves. You have lately introduced me to two films (stories) I had not heard of before and look forward to viewing. btw: Poldark (version 2) starts here in the States in mid-June. I will watch it with fresh eyes, because as excellent as I’m sure it is, nothing can replace the original for what it meant to us at the time, and what a grand story and production it was. Thank you, Mr Ellis for a great behind the scenes account. However, I am a bit confused on one point. I’d always heard that Mr Brett was an accomplished horseman. He wasn’t riding the horse, he was driving the buggy. In my opinion, I thought it one of the finest films of a novel set to the screen. We watch this film on dvd at home every now and then to really get into another ‘world’ a bit away from our modern times. The film and Ford Maddox Ford’s writing come together to offer some real fine entertainment. The film is a stunning evocation of a time long past and individuals living lives within intriguing relationships. As noted, the film gains much with the beautiful cinematography. And in that It would be sure great to get a blu-ray of the production. Thanks for making ‘The Good Soldier’. 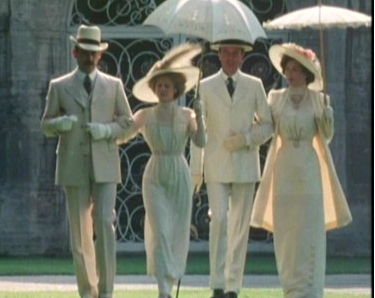 Really it has to be one of the finest costume dramas ever made. I’d think it sure gives Brideshead Revisited a run for its money! Thanks, Rich–“another world”, you are right. 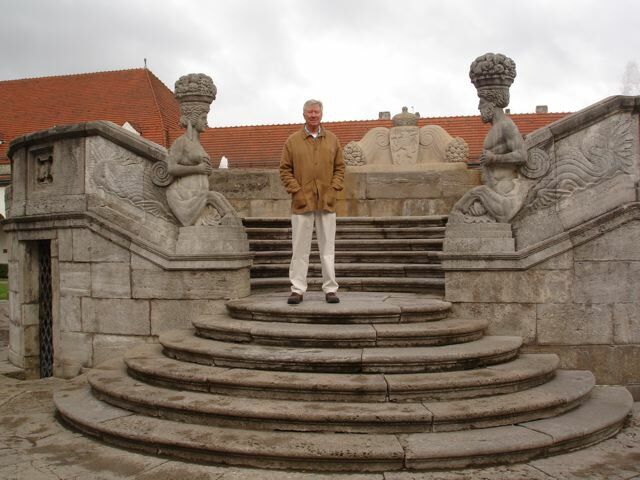 Love hearing your anecdotes, Robin…And what a lovely town! I do remember when I watched “The Good Soldier” the first time thinking how elegant you all looked– “picture perfect!”–until we started to see the characters’ lives below the surface. Perhaps I’ll have to read the book, now! Hi Robin So nice to see you have been back to the sets of the “The Good Soldier”. How strange when I was just mentioning this beautiful film to you the other month. I hope your visit brought you many happy memories of the wonderful people you knew at the time. Thanks Susan, I have corrected it–oh dear! I do love hearing your behind the scenes tales. 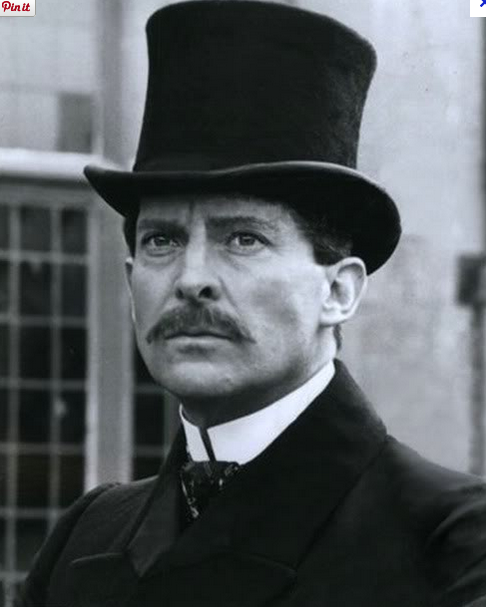 Jeremy Brett is for me the only Sherlock Holmes, he was amazing. What was he like to work with? Lovely man to work with. 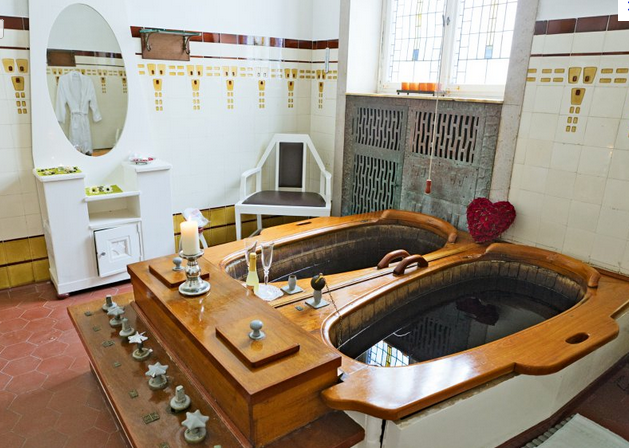 I was surprised to see your blog post yesterday in my emails, especially as I recognised the Sprudelhof in Bad Nauheim before reading your story. I know it well, I grew up in Friedberg, which is just south of Bad Nauheim, and I have to correct a couple of small but important errors. 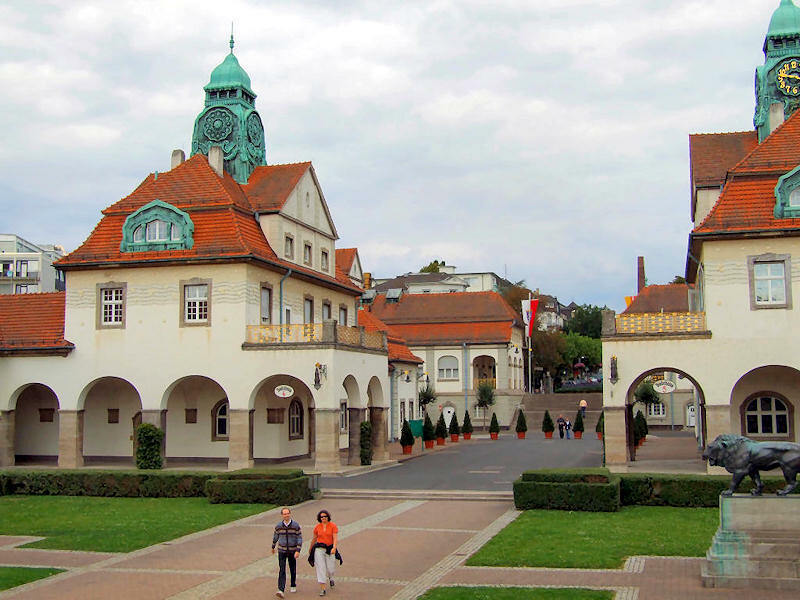 Elvis Presley was stationed in Friedberg, at Ray Barracks, though he did rent a house in Bad Nauheim. And, as another of your readers noticed, it should say Jugendstil, which is the German word for Art Nouveau! As alway, enjoyed the blog and wishing you all the best. Thank you Ulrike–appreciate the notes. I changed the “d” to” a “g” as soon as it was pointed out. Hello, Mr Ellis! Reading your account about the making of the film is very interesting. I’m an Italian fan of yours (since I watched Poldark), and I want to tell you that you are a wonderful John Dowell, as the other three actors of the quartet in their roles. 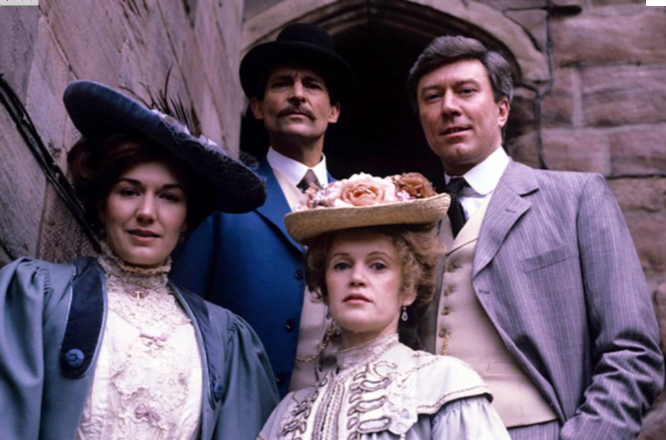 I’d like to know what Jeremy Brett thought of Eduard: did he like his character? And did he like the novel? Thank you very much (and excuse me for my bad English!). I don’t know, Rita, is the straight answer. I wish he were still around so you could ask him. Thank you for this blog. I saw The Good Soldier and also The Europeans. The characters you play in both have some similarities. It is sad to think of the people now gone; when I re-watch the 1975 Poldark I remember that Paul Curran is gone, probably Frank Middlemass (is that his last name?). 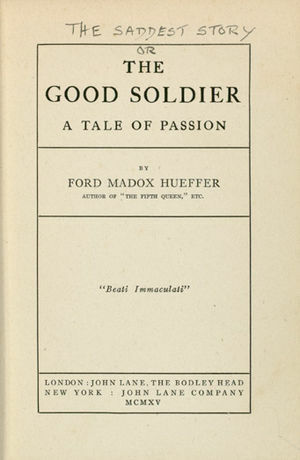 Recently ITV did another Ford Madox Ford, a mini-series featuring Bernard Cumberbatch in the uncertain hero role. This is a wonderful film Robin. I watched it on your recommendation and i’m buying it on DVD……..very ‘Remains of the Day’ and ‘Howards End’ ish. That may make you throw up your hands in horror and say that I’m a Philistine !! Good piece of writing, Mr. Ellis and fine photos. 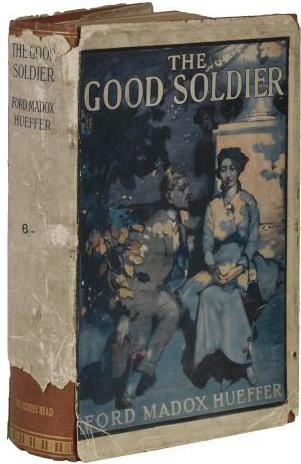 Enjoyed reading this and I had never heard of “The Good Soldier”. I have watched this film on DVD many times, and each time I wonder why the “Good Soldier” is Brett’s character rather than your character, as Dowell seems to be the honest, honorable steadfast man as opposed to one who has what would now be called “issues” with women, money and being truthful. That said, you make a very convincing American of the Gilded Age upper class. Any possibility you could convince The Powers That Be to release your Howard Carter/King Tut film? I remember it from years ago and it was fascinating. It is on You Tube, but the sound is dodgy. Thanks Alix–perhaps “the Tut” should be allowed to rest! Hi there, I have to correct you about something you wrote about Nauheim. 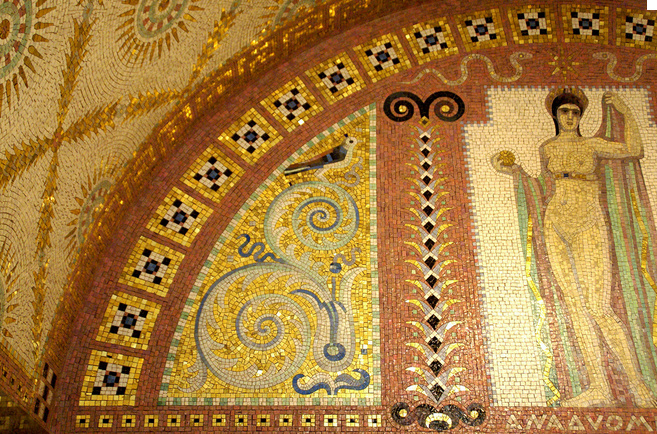 The name of the German (although after my opinion it has it´s origin in Austria, but not sure about it) style is Jugendstil, not Judenstil. The word Jude means Jew, so if you would translate it, it would say Jewstyle. Jugend means youth. Thanks, Julia. Others pointed this out and i changed it tout de suite. Oh dear! Just a further note on the film. Thank you for your post. I’m not working this week so in between my exciting household chores watching “The Good Soldier” will be a treat! Such a beautiful film from an extraordinary novel; I saw it when I was quite young and while much of the adult themes sailed right over my head, I was stunned by it. I am new to your blog and am happy to know that you are leading such an idyllic life. 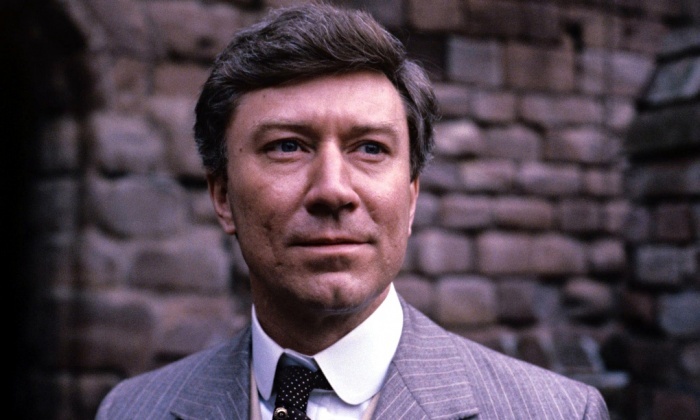 American fan here of many decades, enjoyed your cameo on Poldark while savoring memories of the original.